Improve Your Credit Score With This One Simple Tip! Loans & Mortgages are a fact of life for most of us. Since the credit crunch though getting a mortgage or loan has become a lot more difficult! There is one simple thing you can do however to greatly improve your chances of getting a mortgage or loan by improving your credit score! 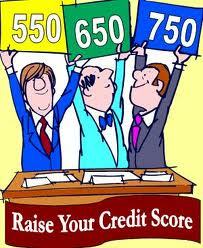 A credit score is a method banks and other lenders use to decide whether you are a good person to lend money to. A common misconception is that your credit score depends on only one thing, how you have handled your previous credit commitments! Though this is a big part of how your credit score will be calculated, there are other factors that can improve your credit score dramatically! Let’s consider one of them. Each year adults who are eligible to vote will be sent a letter asking them to register on the electoral roll and confirm who is resident at the address. Since less of us are bothered about voting these days we may just overlook this letter and forget to register. This single mistake causes so many problems for people trying to get credit! The electoral roll is the main way credit reference agencies and the lenders who use these agencies can confirm you live where you say you live. This may not seem like a big deal to you but for lenders and for your credit score this information is vital! There are many people out there who want to try and scam lenders and borrow money fraudulently by pretending to be someone they are not! By being on the electoral roll you show to banks and other lenders that you are who you say you are, and you live where you say you live! This makes you a lot more creditworthy and you’ll be amazed what a positive impact getting yourself on the electoral role can have on your credit score. Just this year a friend of mine wanted to buy a laptop on finance. He was refused because his credit score was too low. After he made sure he was on the electoral roll he reapplied and was accepted! If you’ve had problems with credit in the past and have missed payments or worse then I’m not saying going on the electoral roll will magically remedy this. If you are being refused credit though, and are unsure why, not being on the electoral roll could well be the problem! It’s really easy. Visit the website aboutmyvote.co.uk and you’ll be able to download a form which you need to print off, fill in and send to the address specified on the form. Or if you don’t mind waiting a little while, then be sure to keep your eyes open for the next letter to come through your door to get on the electoral register. And it really is as easy as that, you have just drastically improved your credit score!